Note: This is the fifth blog in a series where you can make choices about buying your first home. Let’s look at what happens when you find the right home. This is an exciting time. When you find a home that’s right for you, you can see your future. But, most people will need a mortgage to pay for their home, which means you still need to find the right mortgage for you. Once you have a specific home in mind, it’s time to start the mortgage application process. A Loan Estimate shows you the terms the lender expects to offer you if you decide to move forward with your loan application and the lender approves your loan. It lays out an estimate of the costs you can expect to pay for the loan. How many Loan Estimates will you get? While it may be tempting to work with just one lender, we recommend shopping around for your mortgage loan, and a great way to do that is to get at least three Loan Estimates from three different lenders. Loan costs can vary widely from lender to lender, so this is one place where some exploration may help you save a lot of money. We’ve done research showing that a borrower taking out a 30-year fixed-rate conventional loan could get rates that vary by more than half a percent. This can mean a difference of thousands of dollars over the 30 years of the loan. 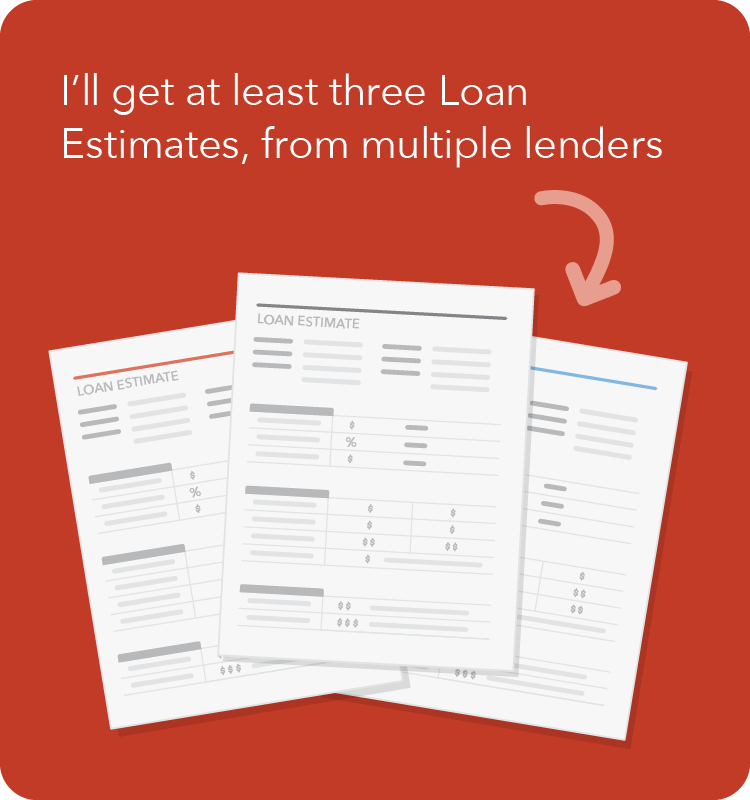 It’s also relatively easy to get a Loan Estimate. You’re not required to provide written documentation to get a Loan Estimate. However, the more information you give a potential lender, the more accurate and useful the Loan Estimate will likely be. The only fee a lender can charge you is a small upfront fee to pay for pulling your credit report, usually no more than $20. Getting multiple Loan Estimates won’t hurt your credit, so long as you get them all within the same 45-day window. If you haven’t seen our other Mortgage Move blogs, get started with the first in our series. You can also sign up for our “Buying a House” email list to get updates on our tools and resources for homebuyers. For a more in-depth look into the steps and decisions that go into buying and financing a home, visit “Buying a House.” Here, you can learn what to expect when buying a home, and what questions to ask in order to find the best mortgage for you. Good choice. We recommend shopping around for your mortgage loan, and a great way to do that is to get at least three Loan Estimates from three different lenders. Just like other big purchases, it makes sense to see what your options are. We’ve done research showing that a borrower taking out a 30-year fixed-rate conventional loan could get rates that vary by more than half a percent. This can mean a difference of thousands of dollars over the 30 years of the loan. 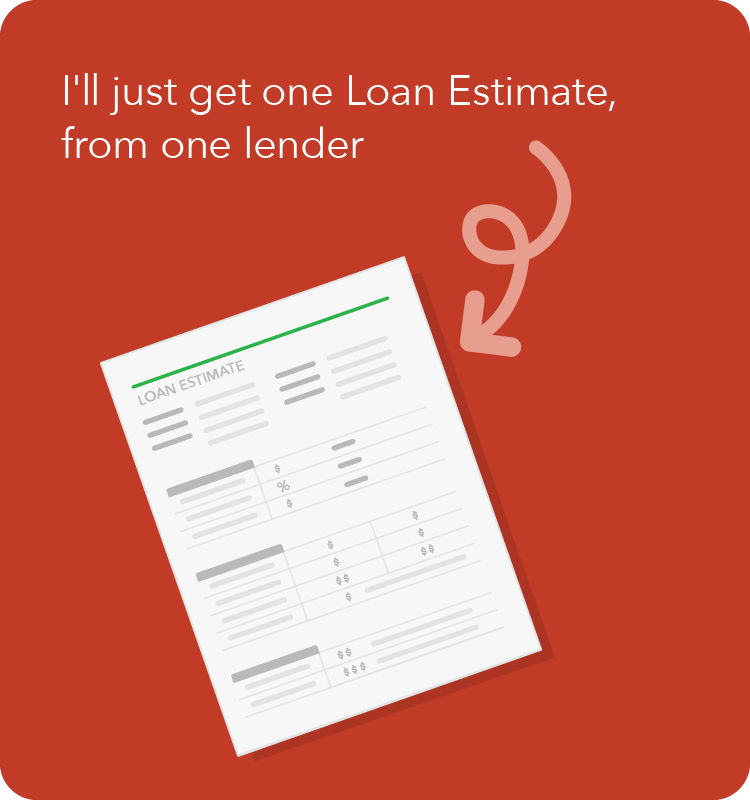 It’s also relatively easy to get a Loan Estimate. You’re not required to provide written documentation to get a Loan Estimate. The only fee a lender can charge you is a small upfront fee to pay for pulling your credit report, usually no more than $20. Getting multiple Loan Estimates won’t hurt your credit, so long as you get them all within the same 45-day window.